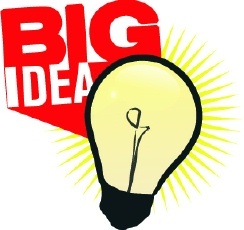 2018 marks another exciting year for the BIG Idea Competition. Here's an update on what we've been working on. NEW this year is another industry prize category for students to enter their qualified business. Midwest Ag Supply is sponsoring a Food Animal Agriculture category. Food Animal Agriculture is defined as agricultural processes related to beef, dairy, sheep, goat, swine and poultry. There will be $500 prize for the category winner in addition to the existing Wellness category prize and Marketing Design prize. Addition of career clusters. As part of their application, students will choose the career cluster related to their idea. Updated website with simplified navigation. New location, on NSU's campus, for the BIG Idea Final Event. Expanded mentor program for finalists. Partner In Business Award (for teachers) to encourage network building.